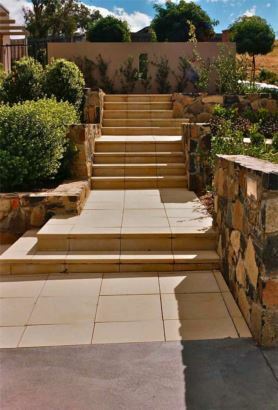 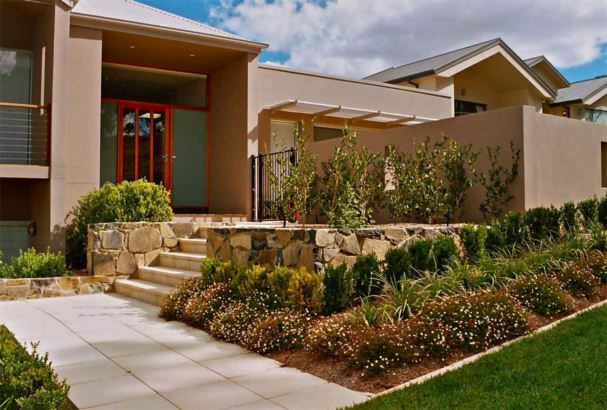 The steeply sloping front yard of this home presented a challenge to provide access from the street to the first floor entry & around to the driveway. 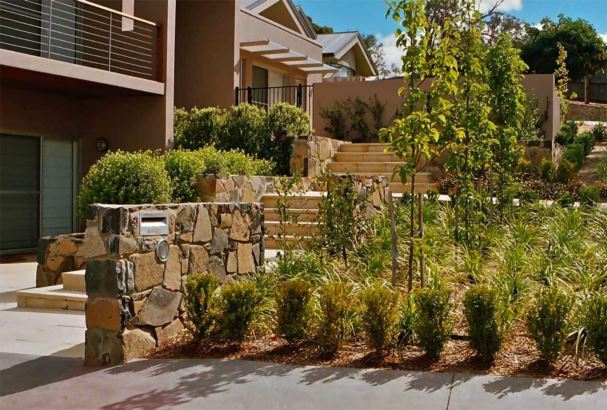 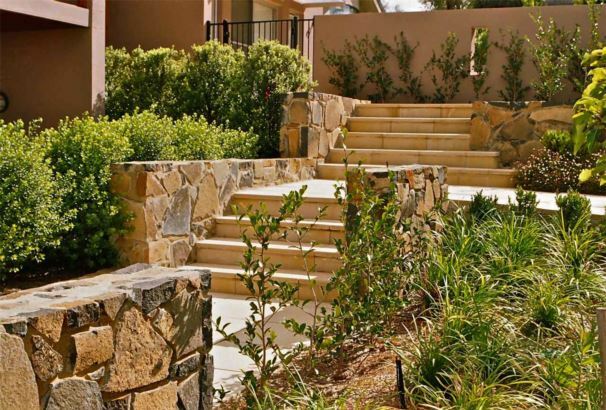 Stone feature walls, paved steps & landings wind through densly planted beds. 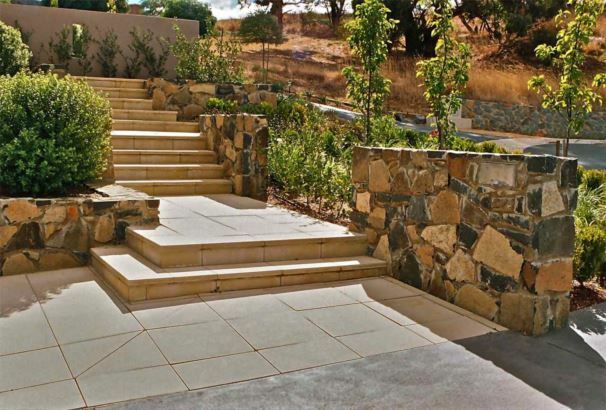 Peter Morton was the principal contractor & MJ Stonemasons constructed the ‘Nimitabel’ stone walls.